Located at the heart of a vast natural area and boarded by the ocean, the Las Palmeras Campsite warmly welcomes you for holidays with family or friends. 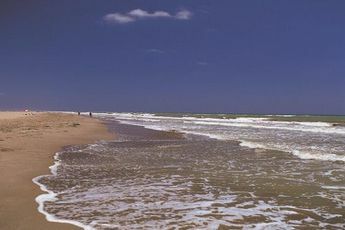 The campsite is situated19 km from Port Aventura, 103 km from the Montserrat Monastery and 7 km from the centre of Tarragona. 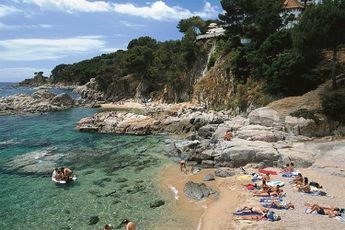 Whilst holidaying at Las Palmeras, you can enjoy the beach which is a stone's throw away from the campsite. You can make the most of the tranquillity of the beach to relax, take a dip in the sea and soak up the sun. On the campsite there is also apool if the sea does not tempt you. During high-season, children can join the children's' clubor play in complete safety in the play area. Holidaymakers who wish to exert themselvesat the Las Palmeras Campsite can make use of the sports pitch and take part in basketball, football and other tournaments, and the most daring can try their hand at water sports. 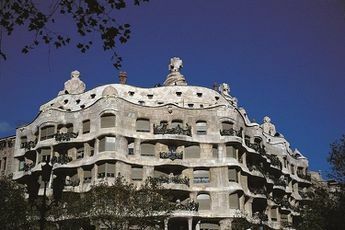 During your time in Spain, we would encourage you to make the most of the region by visiting wherever takes your fancy. It is the best way to discover the most authentic and charming locations. 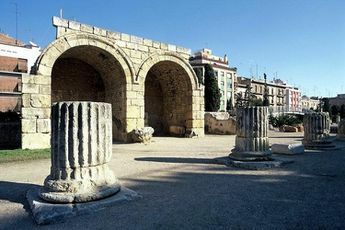 You can also discover the well-known cities of Barcelona, Tarragona and Salou. 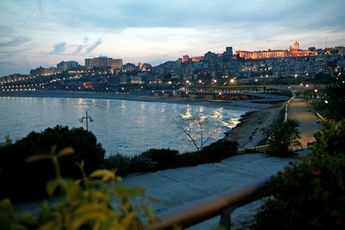 The promenade at Salou is a must-see during your trip! The Las Palmeras Campsite welcomes you from its location on the Mediterranean and a stone's throw from a 247ac. natural area. 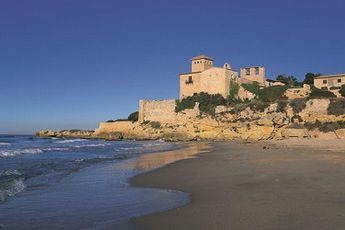 Holidaymakers will leave satisfied after experiencing the rich heritage of Tarragona and the majestic coves of the Punta de la Mora. Along the length of theCosta Dorada, you can make the most of relaxing on the beach or taking part in water sports. Slightly further away is the Port Aventura Theme Park where you can be thrilled by the rides!